A Law Firm that Fights for You with Aggressive, Constitutional Representation. If you are facing criminal charges, you need an experienced lawyer to fight for you. Individuals charged with criminal offenses are often bombarded with advice on which attorney to choose – solicitations may arrive in your mailbox, friends may give you advice, and you may get input from others who have been in a similar situation. In spite of that advice, remember you are the person whose liberty is at stake, and you and only you can pick your attorney. Why choose the Baird Law Firm? Baird Law Firm treats every client as an individual, not just a random number caught up in the criminal justice system. With this unique approach, Baird Law Firm customizes its representation for each client based on their needs and desires and with the legal goal of securing the best possible outcome. We have a support staff second to none. Our team members understand the difficulties our clients are facing and do everything possible to ensure that our clients’ needs are met. While no prior success can be considered as a guarantee for the future outcome in your case, we are proud of our record here at Baird Law Firm. We have achieved optimal results for our clients in many cases as a result of hard work and dedication to our clients. Baird Law Firm’s mission is to successfully represent criminal defendants in Texas state courts. Charlie Baird defines success as either a dismissal from the prosecutor or an acquittal from a jury or judge. 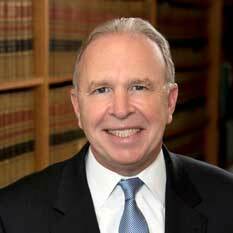 During Charlie’s 35+ years of legal experience as a lawyer, professor, and judge, he has been actively involved in every level of the criminal justice system. Too often, individuals are wrongly charged by overly aggressive police officers or prosecuted by politically motivated officials. Those individuals are entitled to justice. The best way to ensure justice is by providing aggressive representation and protecting the constitutional and statutory rights of Baird’s clients.